This little invention has already gathered quite a following among the Makerati from New York to Chicago to Rome. 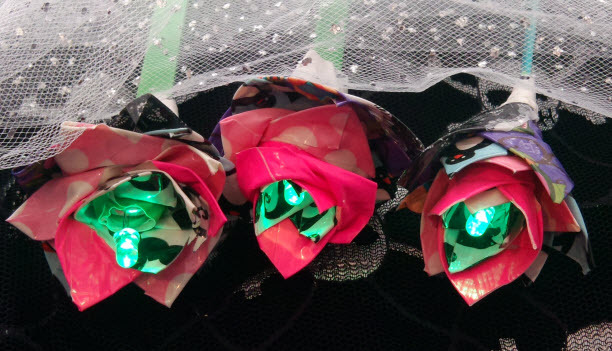 From MAKE magazine founder Dale Dougherty to Arduino founder Massimo Banzi to fashion technologist Troy Nachtigal to dozens of Italian teens at the Rome Maker Faire, this duct tape electric rose is making the rounds! 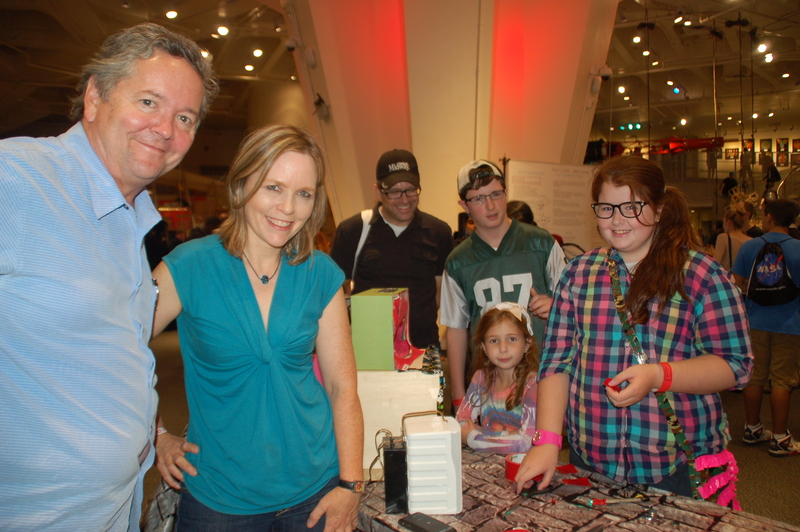 Dale Dougherty stops by just as I’m inventing the rose with a teen named Hana at the 2013 NYC Maker Faire. 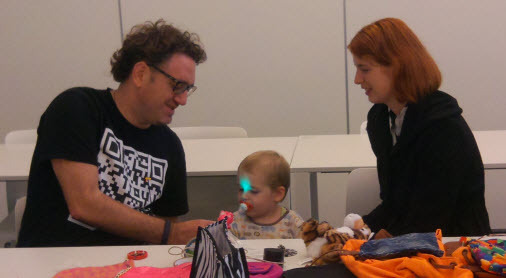 Massimo Banzi took a rose back to Turin after giving a talk in Chicago (2013). Troy Nachtigal (@Troykio) and family, Florence, Italy October 2013. Italian teens at the 2013 Rome Maker Faire. You can find conductive tape, rose petal duct tape and LEDs at Conducti.com. 2. Lay the batteries end to end and hold them tightly together to make contact between the positive terminal of the first battery and the negative terminal of the second battery. 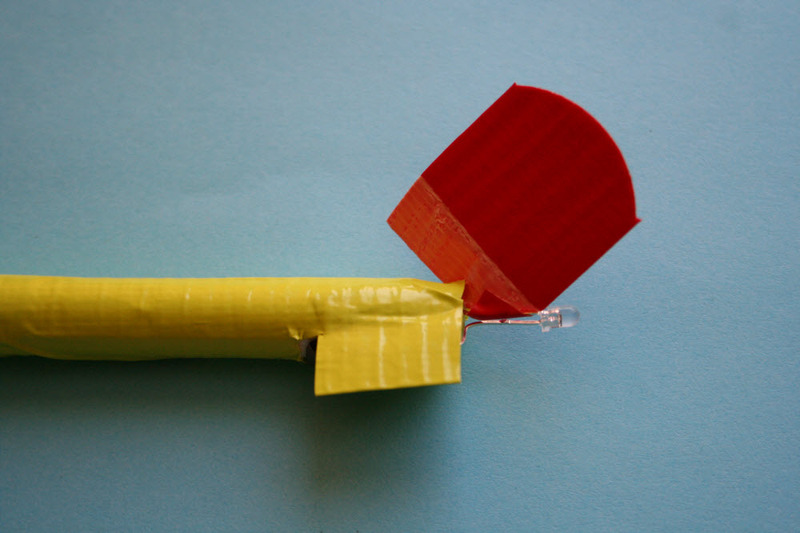 Attach the paper to the batteries with Scotch tape. 3. 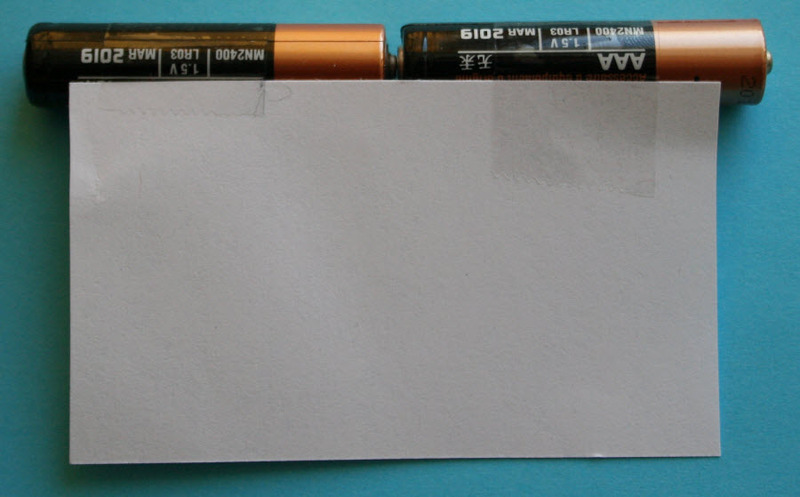 Roll the paper around batteries and secure with Scotch tape. Peel the liner off of a 3 1/2” piece of conductive tape and attach the sticky side to the to the negative battery terminal (the flat end). 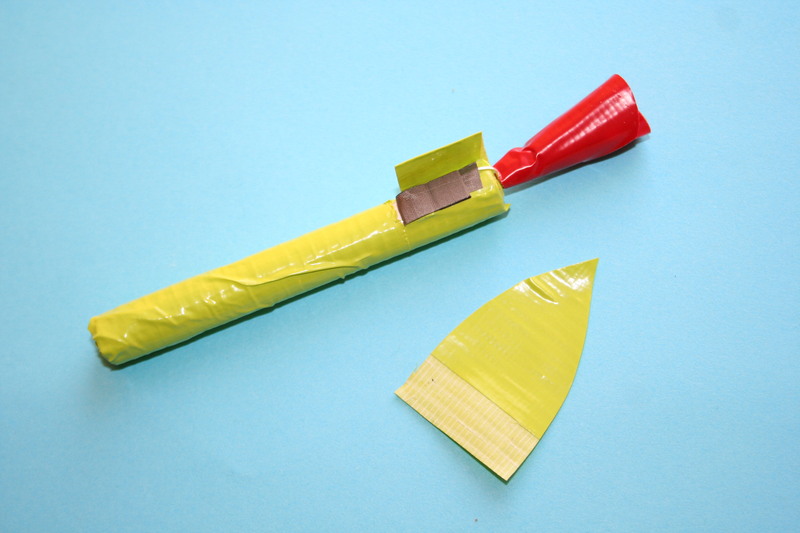 Lay the tape along the side of the batteries. It should stop just short of the positive battery terminal at the other end. 4. To make the on/off switch, set your magnet on the sticky side of a 3 ½” piece conductive tape. Fold the tape over to enclose the magnet. You should have a magnet at one end and a sticky surface at the other end of your tape. 5. Attach the sticky end of your conductive tape switch to the positive terminal of your battery. Lay the tape along the side of the battery. It should be on the opposite side of the first piece of conductive tape. Pull green duct tape tightly over each terminal. Be careful not to cover the tape leading from the negative terminal. 6. Bend the legs of the LED to fit over the end of the battery. 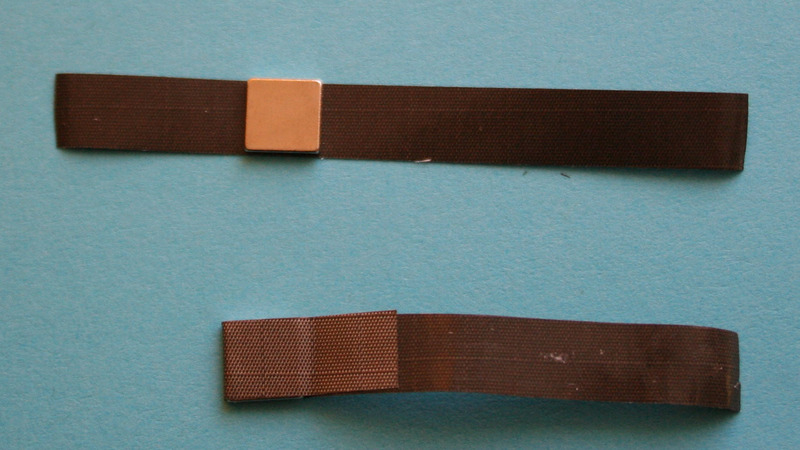 Use a ½” piece of conductive tape to tape down the negative leg of the LED on top of the long strip of conductive tape leading from the negative terminal. 7. 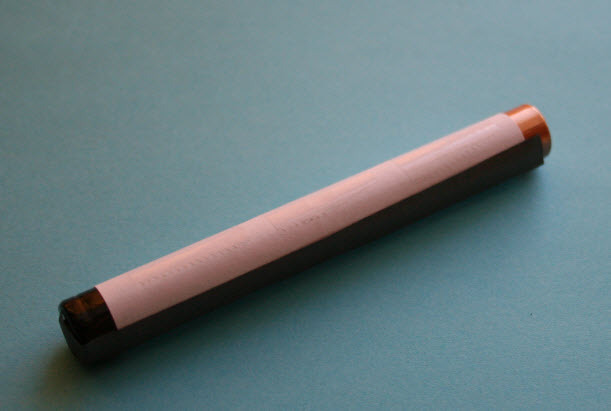 Cover the positive leg of the LED (the longer leg) with 1/2″ piece of conductive tape. Don’t let it touch the tape peeking out from under the green duct tape. 8. To turn the light on, flip the magnet up so it sticks to the positive leg of the LED. Wrap the green duct tape around the batteries, starting on one side of the switch. Tear the duct tape and leave a tab sticking up near the switch. 9. Fold the remaining tab of duct tape to create a tab. When the LED is on, the green tab of duct tape covers the gray switch. 10. To turn the LED off, tuck the green tab under the magnet switch. 11. Thread one red duct-tape rose petal between the legs of the LED to make sure the two legs of the LED don’t touch each other. Wrap it tightly around the LED. 12. 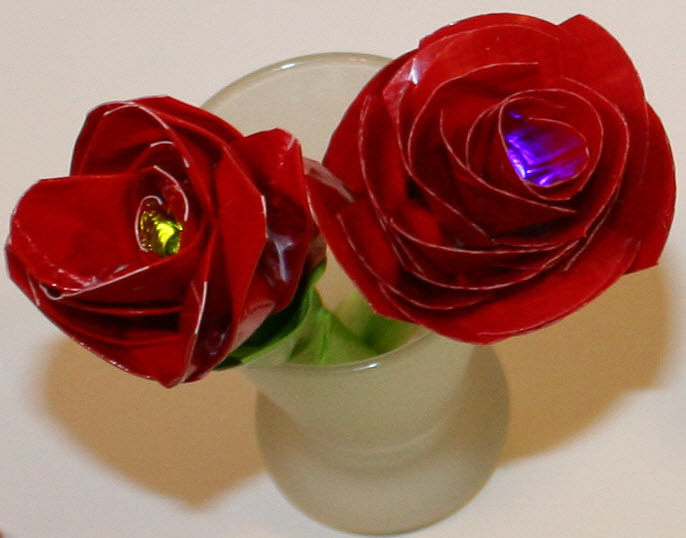 Wrap more red petals around the LED, making sure to scrunch the petals at the sticky end so they flare at the flower end. 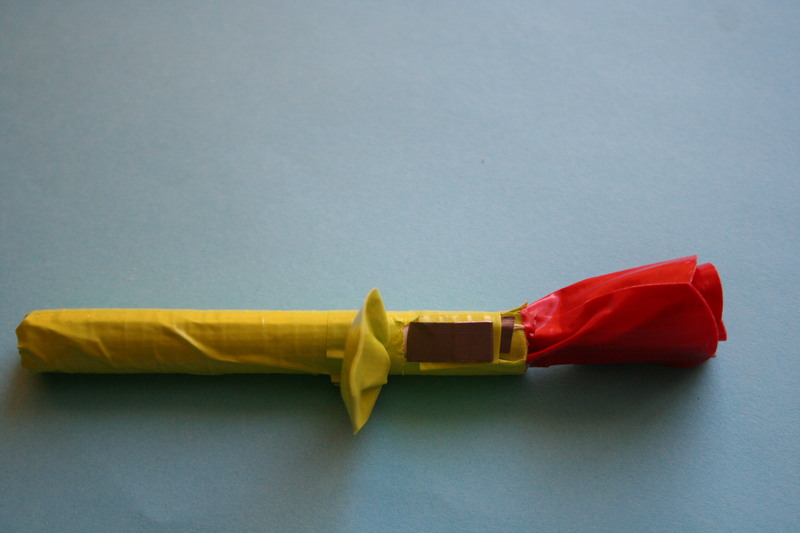 To make a leaf, fold duct tape onto itself and leave ½” sticky tape exposed and fold the remaining 3” in half. Cut the tape into the shape of a leaf. 13. Attach the leaf to the stem below the switch, scrunching the sticky end to give the leaves a realistic shape. 14. Continue adding rose petals and leaves as desired.